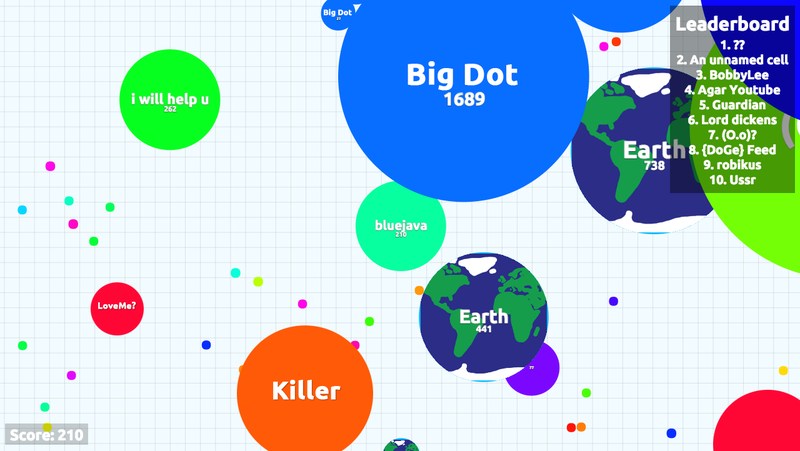 Not long ago I happened upon an online game called Agario - or at least that seems to be what people are calling it - agar.io is the domain name. If you haven't seen this game yet, give it a try. There is no friction to get started. There is no signup or registration, just like many of our sites, - just enter a nickname and start playing. I've been told it is a bit similar to a game called Spore. 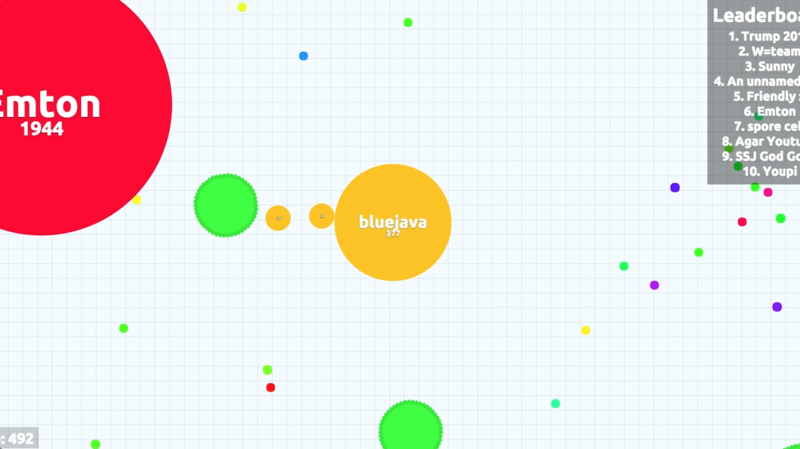 But it is online and multi-player - with very simple graphics (mostly circles). There is no commentary on the site itself, leaving the "storyline" up to speculation. Are the circles cells? blobs? Is that confetti all over the place? Or dots? Or food? Who knows..? In fact, while playing the game, I often found myself somewhat fascinated by how such a surprisingly basic game manages to surface so much behavioral psychology and in turn convey some powerful axioms of life. Just when you start to feel big, you come upon someone else 10 times your size. You always want to be bigger. But don't overlooking the advantages of being small (speed, maneuverability, stealth) - you will miss them when they are gone! When you are small, you are treated like fish food. When you are big, everyone wants to be your friend. Don't take either case personally. Its a lot more fun striving to reach the top than it is to actually be the top. You will be big, slow moving, alone, and have no where to go but down. Oh, and everyone is gunning for you. Chasing others around rarely results in success. When it gets really hectic and tons of opportunities appear, greed takes over and people behave carelessly. And so do you. It can be hard to know if you can really trust someone. And learning that you can't is usually "game over". If you have played Agario and learned (or recognized) some truths that extend beyond the game, let me know in the comments! 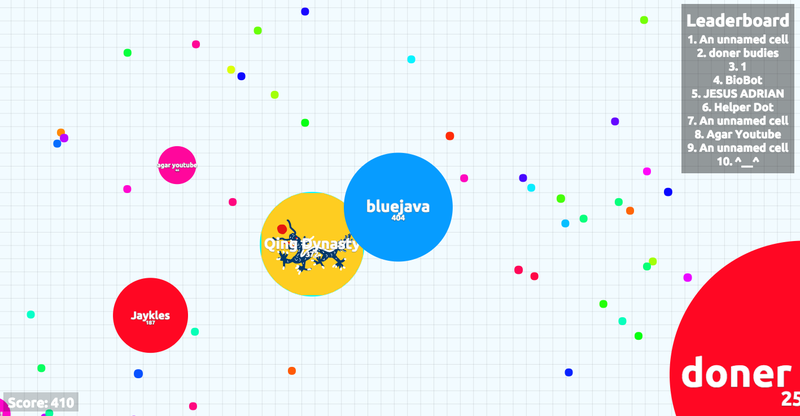 7 Powerful Life Lessons You Can Learn From Playing Agar.io Tweet This! Relying on the luck, can pay, but is not what make you do a great "match". If you rely on luck most of the time you will lose, but the one time you succeed you become really big. Hah. Some people who struggle with their weight may say that it is much faster to put weight on than to take it off. 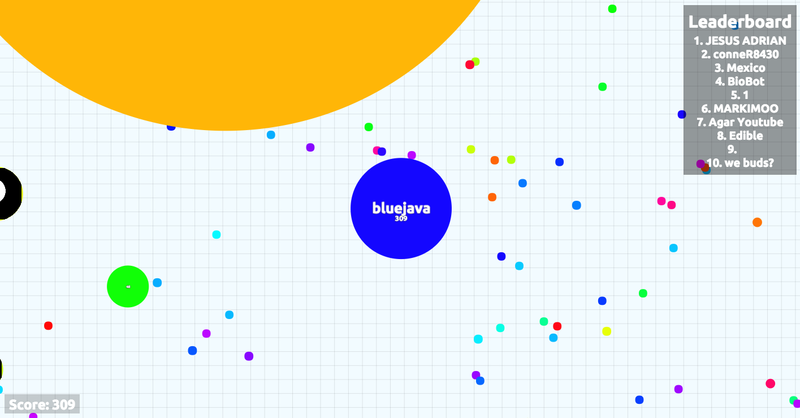 But what you say is certainly true in Agario! Yes, that is true about "luck" - it can be very risky to rely on luck - but occasionally people have great success with it!